2019 will see the start of a new exploration for Female Potential into the world of intuition. Over the past few years I have transitioned from working on gender balance out there in the wider world to looking inwards to find greater harmony between my logical, corporate, rational (masculine) self and my emotional, sensing, intuitive (feminine) side. Ultimate gender balance comes from within. Finding and getting in touch with my feminine side has been a humbling, joyful and at time painful experience. Instinctively we know the masculine and feminine energies need to be balanced in the world and in ourselves, but for millennia western cultures have applauded one while subjugating the other. The yogic traditions point the way to balance, with emphasis on establishing the dynamic flow between Shakti (energy from the earth, the feminine) with Shiva (energy from the heavens, the masculine). 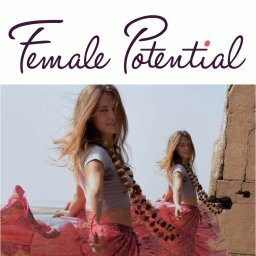 Having previously spent so much of my life in the corporate world I had pushed away my intuitive side and it wasn’t until a Reiki attunement in 2002 that I started back on the path of retrieving the diminished feminine, intuitive part of my being. Since ceasing working in the corporate world 10 years ago, exploring my being has been an ongoing and relentlessly fascinating journey. Counting it up the other day I realised I’ve spent one complete year out of the last 10 exploring the mysteries of life on one retreat or another! So before we can explore the topic maybe we need to spend a bit of time defining what is and isn’t Intuition? But how do we discern when it is our intuition speaking to us when we have been conditioned by the rational world to ignore such things in favour of scientifically proven, evidence-based cause and effect logic? the ability to acquire knowledge without proof, evidence, or conscious reasoning, or without understanding how the knowledge was acquired. Different writers give the word “intuition” a great variety of different meanings, ranging from direct access to unconscious knowledge, unconscious cognition, inner sensing, inner insight to unconscious pattern-recognition and the ability to understand something instinctively, without the need for conscious reasoning. Other publication such as Psychology Today have taken a much more mechanistic approach to explain away the “magical” element of intuition. Personally I would rather the term mystical rather than magical, but would proffer that whether we call it magical or mystical this phenomenology is definitely a part of intuition, while gut reaction maybe subtly different? In Malcolm Gladwell’s 2006 book “Blink – the power of thinking without thinking”, he argues that all human beings are innately good at find patterns and reading situations. He calls the cognitive theory behind this natural impulse “thin slicing”. A form of mental short-hand to arrive at answers without applying rational logic. Nobel prize winner Daniel Kahneman goes into more detail in his 2012 best seller “Thinking Fast and Slow” where he distinguishes between System 1 and System 2 thinking. Kahneman considers the first system – System 1 – to be fast thinking, performed instinctively, with almost no effort or feeling of control. Kahneman explains how this system of thinking is incredibly important as it influences almost all judgements and choices. The book goes to great lengths with numerous examples to show the dangers of relying on System 1 thinking as much can be proven as false when System 2 thinking is applied to the facts. System 2 – is slow thinking, more complex and mentally draining. Kahneman explains how System 2 is easier to identify with as it is the conscious self, the version of us that makes decisions, choices, has reason and beliefs. Ultimately both systems need to work in harmony for the normal human operations. System 1 rapidly processes information so the slower conscious mind can be left to the process the more difficult problems. Who am I to argue with a nobel prize winner, maybe I don’t even want to, but this all still feels very mechanistic and somewhat masculine to me! What has happened to the spiritual? To the mystical? To the great unknown mystery of life in either Gladwell’s or Kahneman’s versions? He argues that intuition is operating at a higher realm than intellect and therefore cannot be understood by the intellect, whether it’s a nobel prize winning intellect or not! Mystics talk about there being 3 realms – the known, the unknown and the unknowable, the latter can never be known by the human mind. Osho maintains intuition works from the unknowable realm. Thus intuition can be felt by the intellect, intellect can know something has happened, but it cannot explain it. In 2011 I first encountered the world of Systemic Constellations, knowing little about the methodology I signed up for a weekend in London, only to walk into the room with the most intense feeling of having at last arrived home – my intuition in action!?! Systemic Constellation as a methodology is hard to describe since it is one that is both experiential and phenomenological. The Systemic Constellation view of intuition is it allows us to access our own deeper intelligence as well as giving us access to the Jungian concept of the collective unconscious, collective intelligence of families, groups and other organisational systems. 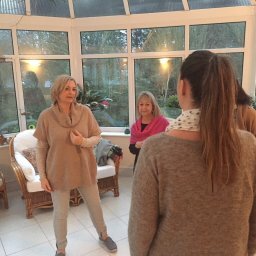 Since first encountering Systemic Constellation work, I have undergone further training and the methodology has become an embedded practise in both my own personal development and coaching work. Systemic Constellation work is how I contact my intuition and so much more. In 2019 I will be journeying further in this methodology with one of the UK’s preeminent teachers, so it feels the right time to start spreading my wings from one-to-one coaching to working with this methodology in small groups. And I’m so aware that nothing I can really write on this topic is going to convince a sceptical intellect! So maybe it’s time to take a leap and tap into your intuition, and if this is something you want to explore, then sign up for a Sunday morning workshop and step into the mystery of your intuitive potential.